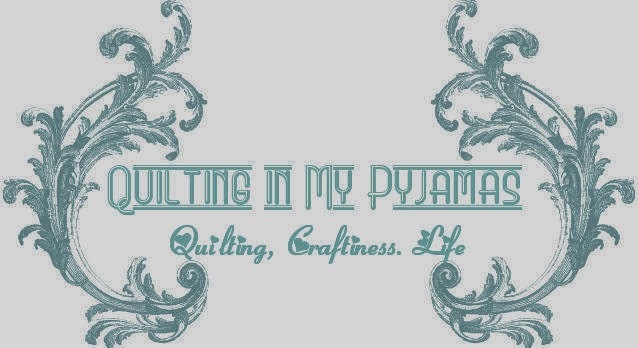 Quilting in My Pyjamas: Spring Break! Let me just say that what happens on holidays stays on holidays so there will be no tattling in this post ( I bet 20 people just clicked out of this post without reading any further) Little Miss Sunshine and I are sedate mature ladies and we behaved accordingly for my entire stay. Despite what she may tell you over on her blog, it's all lies and I did not lead her astray one little bit. There was one slightly drunken night (and the tables were too high to dance on ) and not a whiff of potential arrest until I was leaving. More about that later. I packed so much crap going over I was only 200 grams under the weight limit at the airport. Thank goodness they didn't check my carry on because I took the biggest handbag I owned and stuffed so much in it that it weighed approximately 43 kilos. Then to add insult to injury I got picked for bomb and drug testing going through the scanners. Apparently I look suss or like a drug courier. I was met at the airport by Marg holding a box of Krispy Kremes instead of a name card saying "Mrs. Pyjamas" because I live in a dimension where KK doesn't exist. As far as I'm concerned donuts are the perfect welcoming gift and the week just got more sugar fuelled from there. Chips, Chocolate , Booze, Cheese, Oreos and prosciutto for protein. I think we covered all the main food groups. I didn't actually poop for three days at one point which gives some credence to the idea that vegetables are probably necessary for good bowel health. I was completely inspired by the Quilt show in Brisbane and these were a few of my favourites. There were lots of Ooh's and Ahhh's from me while people around me talked about the technical brilliance and colour placement of the blocks and tone and shade and other things I know nothing of because I just look at it and either like it or I don't. In fact I pretty much left my brain at home and was content to utter non words to describe how I was feeling. I popped in to see Natalie Bird who created the 'Tis the Season stitcheries and to have a look at Michelle's fabulous patterns which were being sold on Natalie's stand. Yes- I name dropped that Michelle is a friend of mine. I love to ride on my blog buddies coat tails since I have no actual talent of my own. We massacred some frog cakes that I brought with me (that got slightly smooshed during transit ) That chocolate one looks like he's screaming doesn't he? I think he knew his time on this earth was limited. If you've never had a frog cake- sucked in because they rock. It's probably one of the few good things about living in Adelaide. Little Miss Sunshine seriously is the hostess with the mostest. I had a fabulous time and everything was done to make sure I enjoyed myself to the max. I finally got to see her house (utterly gorgeous and exactly how I want my house to look if it ever grows up) and with a view like this to stare at every time I went outside who wouldn't have thought they were in Paradise? I was a bit slack on the taking pictures thing while I was away and only got two pictures of Little Miss Sunshine . In one she is flipping me the bird (which I intend to use for blackmail purposes at some point ) and in the other she is fuzzy. It's all a bit spooky because when I looked at her that night she WAS all fuzzy. But I cant recall a lot about that night so perhaps we should move on. The biggest thrill of the trip was driving with Young Miss Sunshine who has perfected the art of driving round roundabouts at 100 kilometres per hour on two wheels. She has a career in the wings as a stunt driver if her other career doesn't pan out. It was a bit like being on the Matterhorn after drinking a bottle of Vodka. I'm just grateful to have survived. Kirsten this one is for you . I saw yellow watermelons! I retail therapied my credit card to the max . I highly recommend having a secret credit card so when you spend money with wild abandon you don't give your husband an apoplexy. It works for me . At one local quilt shop, I was recognised as Quilting in My Pyjamas before I even had a chance to open my mouth .That's because I'm a rock star and I'm recognised everywhere. And now for the fabric spoils. By the way, I've given up on only buying 100 yards of fabric for this year since this pushed me over the 200 yard mark for 2011. I have no willpower. As an aside , outside of Spotlight, I have never seen so much fabric in one place in my life as I did at Maison Sunshine. You know that saying "She who dies with the most fabric wins" . Don't even bother trying to compete . Little Miss Sunshine has already won. This is a small part of her obsession collection. I have already called dibs on her fabric stash when she dies. The friend who has been charged with packing it up in a semi to send it to me has told me that will take so long I may as well come up for the funeral and stay to start sewing my way through it all. We did the markets and I forgot to take any pictures. We ate brunch twice and I forgot to take any pictures. We went out for dinner and I took this picture and then promptly forgot to take any more pictures because I was too busy stuffing my face with half a cow's worth of steak and the best potato and onion galette I have ever tasted. Minor crafting did occur while I was away. A stack of hexies got cut and glued with significant help from Young Miss Sunshine who also flipped me the bird when I tried to take a photo of her doing such an awesome job. I'm starting to think that flipping the bird thing may be genetic. I shopped. Oh how I shopped! I bought clothes, I bought bags , I bought fabric and I bought thongs (the foot kind not the other kind ) and some where along the way I realised that if I was at my weight limit coming up it was likely I was going to be well over going home especially when I factored in getting this on as hand luggage on my way home. Through wonderful unexpected circumstances I am now the proud owner of a Go! Baby Fabric cutter. (Was I doing the Happy Dance or what!) So I posted 10 pounds of other stuff home via Australia Post. The added bonus was that it was a way to circumvent Mr. P seeing all my new goodies when he picked me up at the airport. It looked like I only bought three things during my entire trip (coffee, rocky road, a present for Mr. P ) because I picked the rest of it up from the post office while he was at work the day after I arrived home. Unfortunately security at the airport had never seen a Go ! Cutter and when it went through the scanners, bells went off and people came running and I got rugby tackled to the ground by three burly guys and then got hand cuffed while they searched my handbag for other illegal weapons. I'm not saying my picture has been circulated round every airport in Australia as a drug mule but twice in one trip is a bit of a coincidence don't you think? It was lovely to finish off my trip with a strip search and twenty questions about whether I intended to attack the flight crew with a fabric cutter during the flight. Perhaps they thought I was going to cut them into hexagons? PS. Don't you believe a word Little Miss Sunshine says about Bitchy Poo . She's utterly delightful! OMG! I started laughing at the 'Little Miss Sunshine and I are sedate mature ladies' part and didn't stop until the end. You are priceless, Shay. So glad you had a brilliant time, and that you scored so much fabric and a Go! Baby. I would call that trip a huge success. Other than the inability to poo. Hate that bloated feeling! Smart sending stuff home in the Post & Maybe some Activia will Help..
Oh and I absolutely LOVE that first quilt you showed (and I am just like you...I uhh and ahh while others talk about real qualities). By the way...have you ever thought about starting a second career as an author? You´d be a bestseller!! You are an amazing woman! I am exhausted just reading about your adventure. The fabrics are fabulous - lots of envy here. I needed a good chuckle and your posting was just what the doctor ordered. Many thanks. Isn't it wonderful to share life with kindred souls - lucky you, lucky them! Wow, no wonder you and Marg needed recovery time. You did enough for 2 weeks of holiday. I love the seocnd quilt you posted from the show. I do the "oh how pretty" thing to, but just usually in my head since I can't compete with the technique talkers. Can't wait to see what you are going to do with the Japanese fabrics. I'll take the blame for now, but I'm sure you won't still be blaming me when you finish your gorgeous project (Just promise me you'll do something relatively simple, I don't want to be blamed for Mr P having to find someplace else to go while you are working on that masterpiece). They handcuffed you for a having a "Go"? Seriously? Seriously LOL'd!! Thanks for the great post! you've made my morning! Sounds like a dangerously good time was had by all (although my stomach is in spasms about your dietary choices, but that's just me). Can't wait to see what you make with all that lovely fabric! the sunny coast is a great place to have fun, between you and little miss sunshine I have had the best laugh today for a while. thanks for always brightening my day.....maybe everyone on the coast is so good the security dont have enough to do. I would go back there in a heartbeat if I could. Love the look of those froggy cakes i remember them from my childhood a shop in Brisbane used to sell them together with pink sugar pigs. Looks like the wonderful trip I imagined. So glad the two of you could spend some quality time together. Frog cakes look yummy .. a little sad there aren't more pictures, but I rarely take as many pictures as I should. the fabrics you bought are beautiful. Can't wait to see what you do with them. Hope the burly guys who tackled you were good looking too .. I presume the house was still standing when you returned. Hate to tell you Shay there is a fabric stash closer to home that would be on par with Little Miss Sunshine. Looks like you had a wonderful time. I didn't get to hit the shops too much too much "World activity" for my liking and the one day I a managed to get them to Harbourtown for a couple of hours it was such a major nightmare that my mind wasn't on the game. We had a similar incident at the airport, my son had seen a nerf gun out shopping and we had to have it because it was a bargain now I said that we will never get it through the airport and of course I don't know anything and what happened we didn't get it through the airport. So I have a kid in tears at one end of the line and went through the scanner to quick and get sent back. The one concession from the guards was that they said they would wait until my son was out of sight before they shoved it in the bin (or put it in their bag for the kids). How could your trip have been any better!? Such fun! So glad you had fun (despite the rugby tackle). HOwever, I do know you well enough to know that Little Miss Sunshine's posts are probably 100% true and the reason you didn't take photos was probably so you couldn't own up to the reality of just how nutty you are. Your trip was amazingly eventful! It seems wild drama follows you so closely you could have your own reality travel show! You will have much to laugh about to help you burn off those sugar calories! So glad you had a good time. Now off to check the other blog for the other side of the story. Next time I'm at airport security with you. I'm going to go through either at least 5 people in front of you, or 5 people behind. Who knew Go cutters would be a problem for national security. You could maybe think about taking up rugby, you handled that tackle very well. I'm sorry BP and I ran/walked very quickly away, I just wasn't feeling the need to join you in being strip searched. Despite the airport incident we had such a fabulous time, thanks so much Shay. Highly entertaining, but of course nothing less was expected of the exalted blogging QIMP. Good thing the GO cutter's blades were flat and not rolling or you really could have been tackled by hexagon fearing men! Hilarious. I especially loved the white bread in the photo of the weekend's menu items. And good planning posting most of your purchases home. I understand that is the way to travel light. Sounds like a wonderful time was had by you in the Sunshine household. Pity about all the hold ups at the airport. Enjoy all the new playthings you acquired on your break. Congrats on all the purchases, especially the Go Baby. I really like mine. Enjoyed your post. Can't wait for entertaining Go Baby posts to come. I'm jealous of the pig cakes...so much more fun than cupcakes, now. Love the fabric purchases! I saw some Fairy Frost in there! Woot! So glad you had such a lovely holiday! I loved hearing about your adventures and wish I could have come too, if only to be the designated driver ;). P.S. we also have yellow and orange watermelon here in addition to the regular kind. My sister's husband's uncle has a watermelon farm and grows all three varieties. You must come and visit.